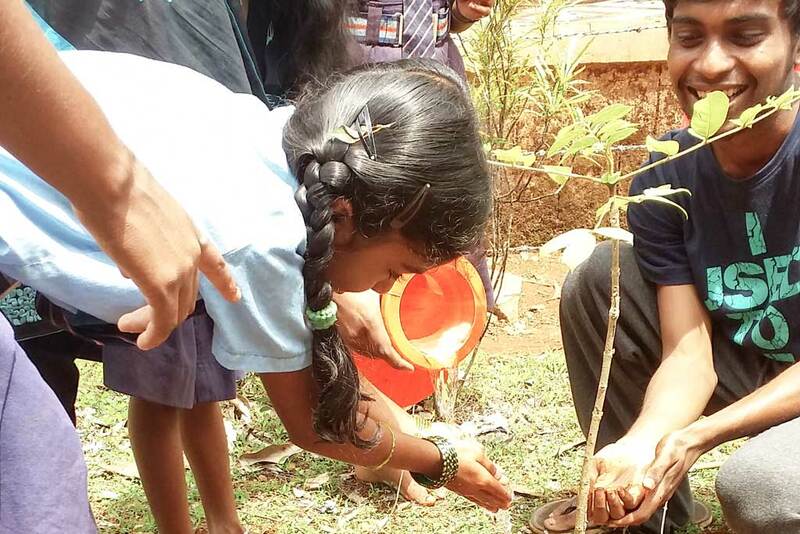 A school student plants a sapling. It was indeed an amazing scene to watch the children carry water from the nearby tap and pour it upon the baby trees. In Byse, there is one government school with 40 students and four teachers, including the headmaster. The tree planting event occurred as part of the Amrita SeRVe Student Internship Program where Amrita University students spend two weeks in villages across the country to educate themselves about the lives of and challenges facing India’s rural people. 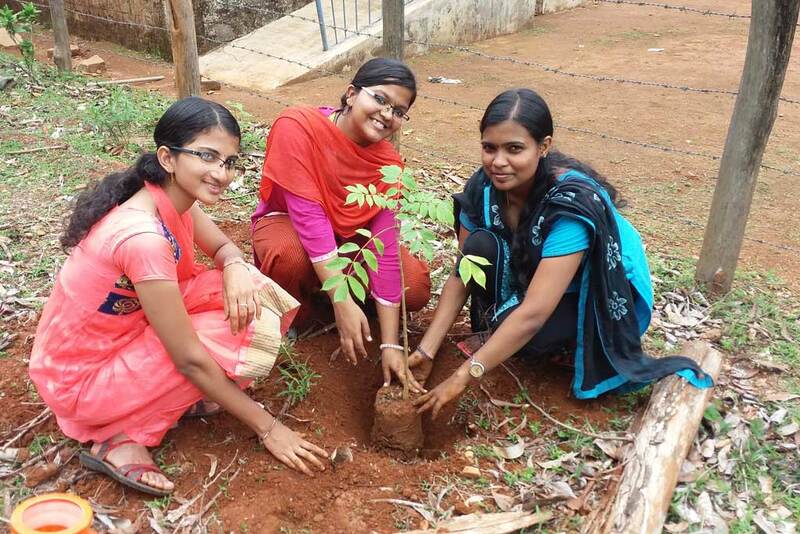 Amrita University students loved planting the saplings. A team of 13 college students from Amritapuri Campus visited Byse along with two Amrita SeRVe staff, Radhika and Anusree. Amrita SeRVe Fellow Chaithra also helped with planting the trees. Amma often emphasises the need for tree planting to increase around the planet, as the large destruction of forests now contributes to much environmental damage. The removal of trees without sufficient reforestation has resulted in damage to habitat, biodiversity loss and aridity.